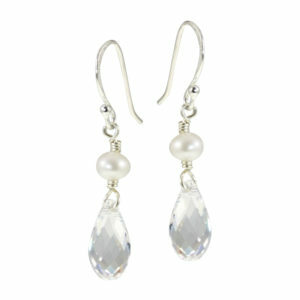 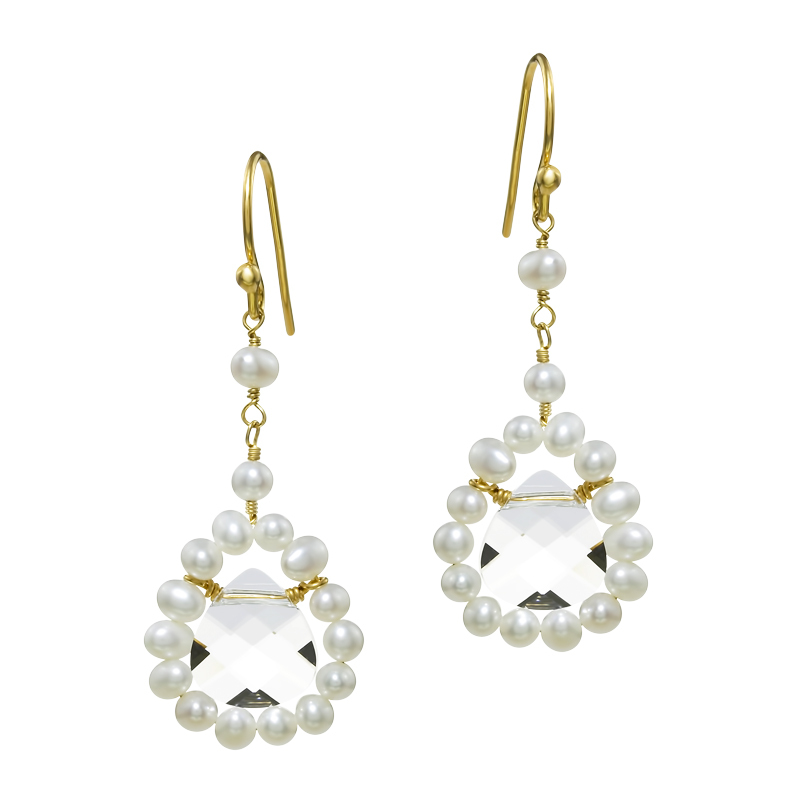 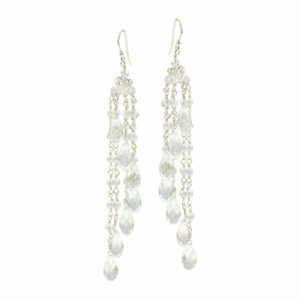 In these expressive earrings, a drop-shaped, faceted Swarovski crystal is framed by white freshwater pearls. 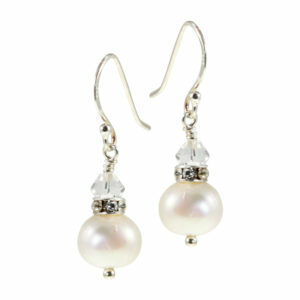 Two small individual pearls provide a filigree silhouette and extra highlights at the top. 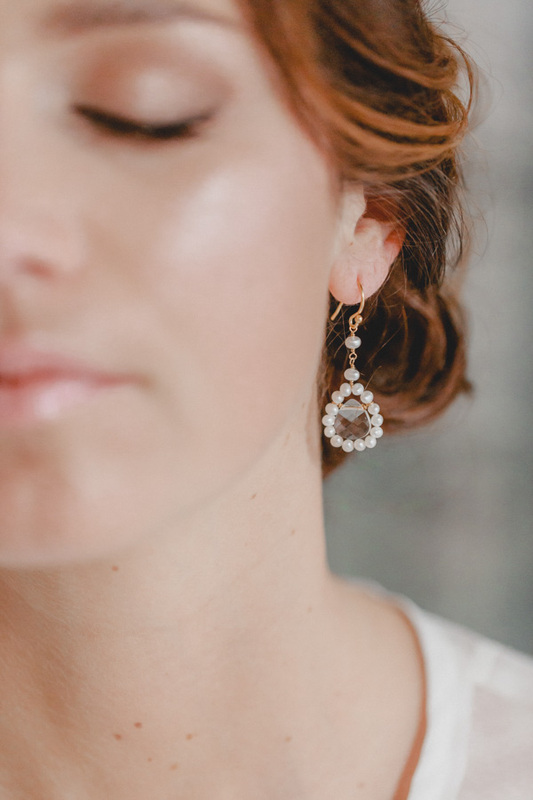 Tradition meets modern! 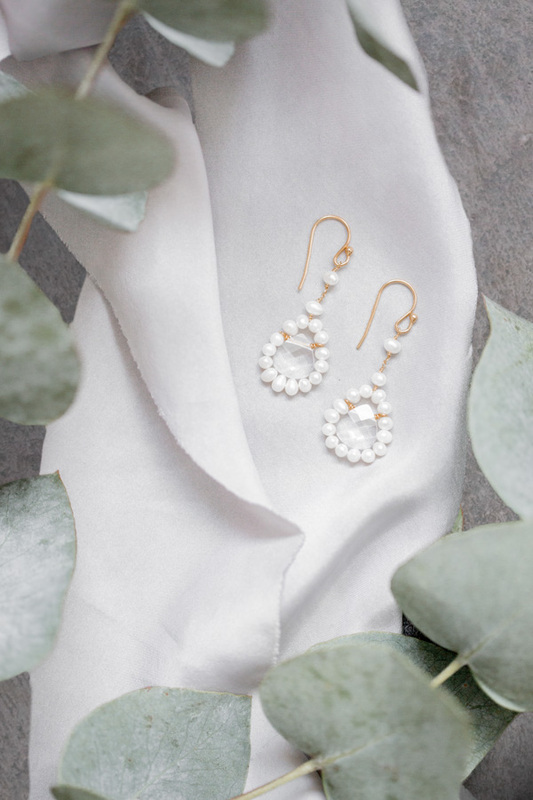 Pearl earrings are a true classic bridal jewellery piece – but these are presented here with a new and modern interpretation. 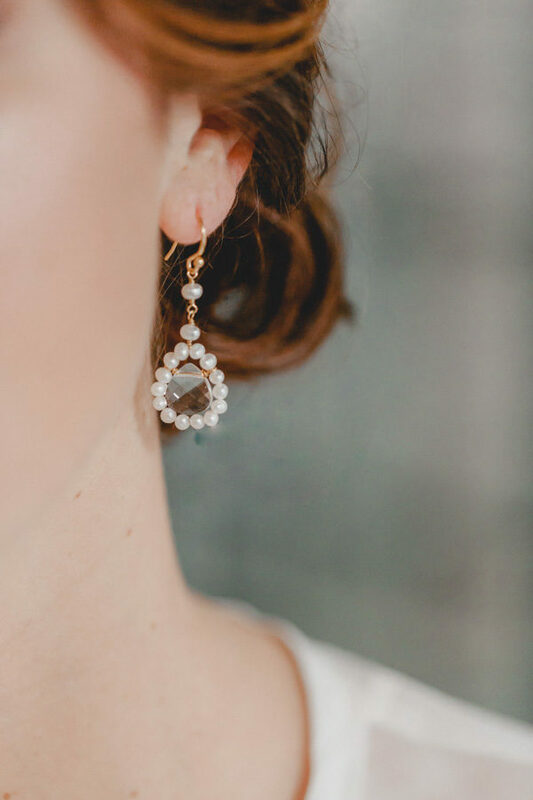 With their innovative design, these earrings are the perfect choice for brides who want to combine classically elegant pearls with a fresh and fashionable design.